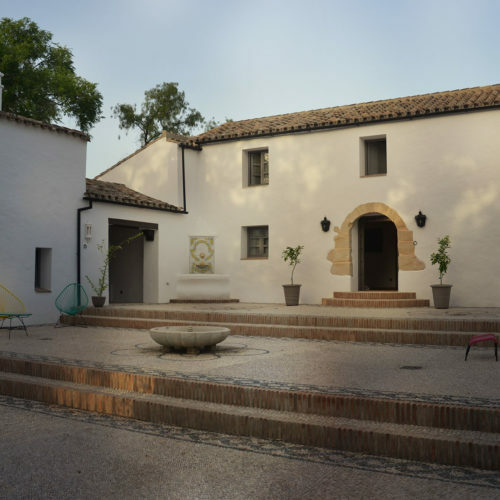 Finca Portier is an ancient agricultural estate nestled in the Serrania de Ronda 2,500 feet above sea level. 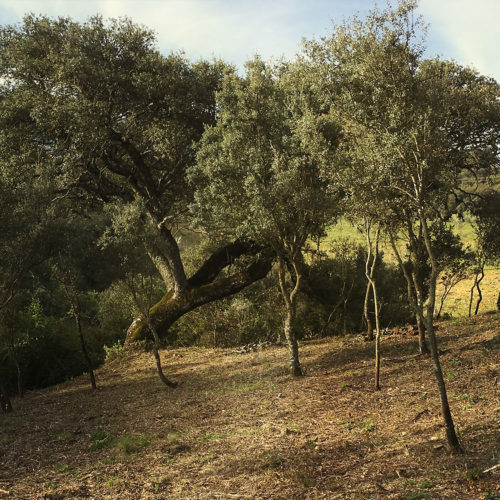 The single parcel property spreads across rolling hills with a rich and stony soil, countless holm oak trees and rock mounds left by early humans. Resting on the slope of a mountain cirque, Finca Portier is surrounded by majestic evergreen oaks sheltering a typical Andalusian farmhouse. Much of the land was abandoned for many years. 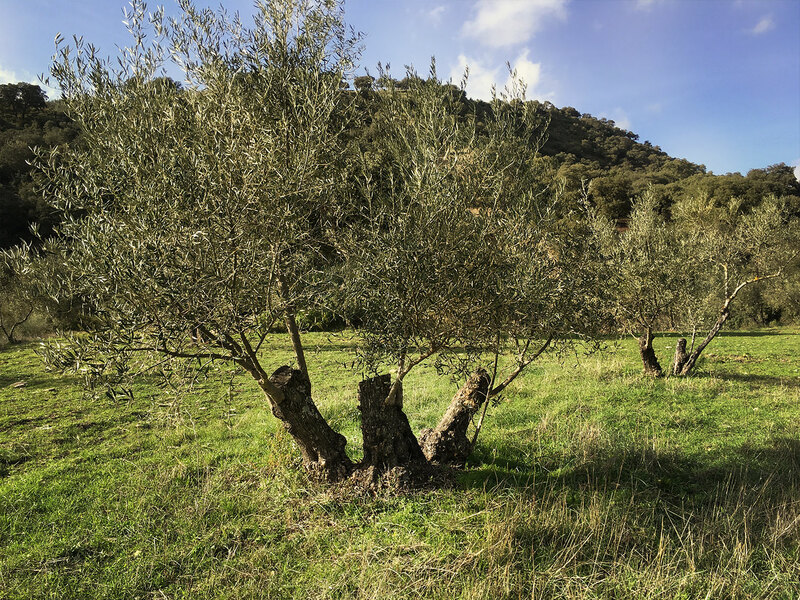 Then 800 Hojiblanca olive trees were planted in the 1960s followed by 900 Picual olive trees in the early 2000s. But developing Finca Portier wasn’t a concern, until now. Today, Finca Portier’s agricultural products are certified organic according to European standards. 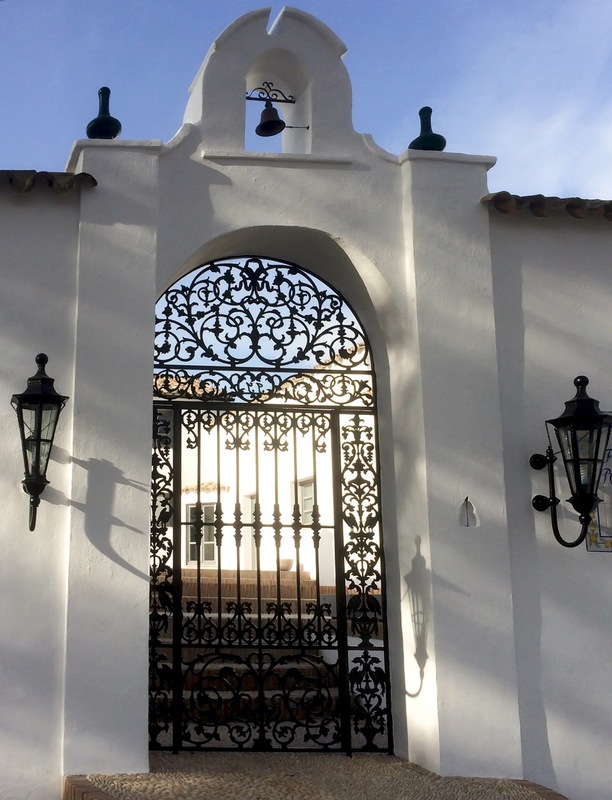 Finca Portier is a well-known name in Ronda. It’s famous for its locale, the surrounding cirque and the eroding stone monuments of the ancient peoples who worked here. The estate faces Ronda and is the dominant feature of the Rio Guadiaro Valley. The picturesque town of Ronda was settled by Celts, Romans, Visigoths, and Muslims. It became part of the royal domain of Castile and Aragon after being captured by Ferdinand II in 1485. Bordered by a dizzying ravine, Ronda is the showcase of Andalusia with charming, white walk-streets decked with flowers and Spain’s most elegant 18th Century arenas. 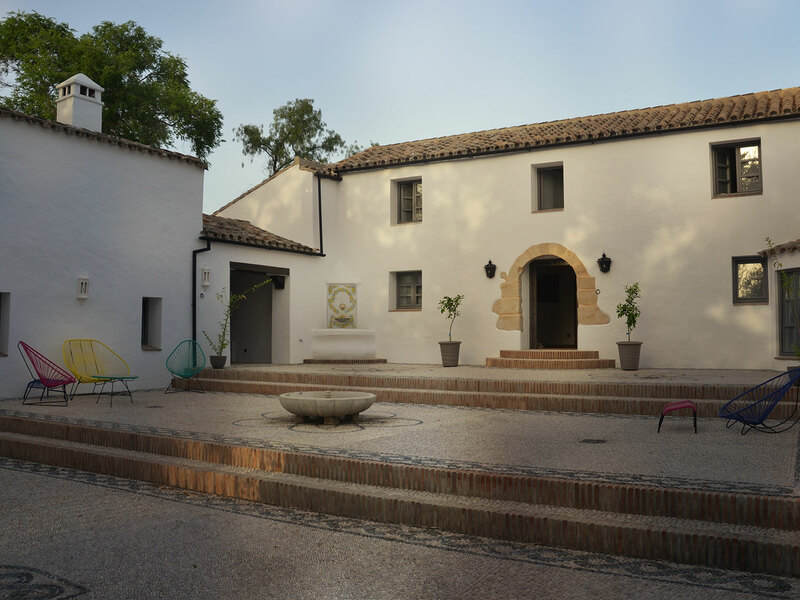 Finca Portier belonged to an old Andalusian family before being sold in the early 1970s. After professional lives in industry and services, we wanted to invest in something for future generations. In our search we fell in love with the unique magic of Finca Portier. So we set our hearts on turning it into a home of excellence in organic farming. In 2015 we launched an extensive rehabilitation project, upgrading the fields and renovating the farmhouse with the help of local experts. 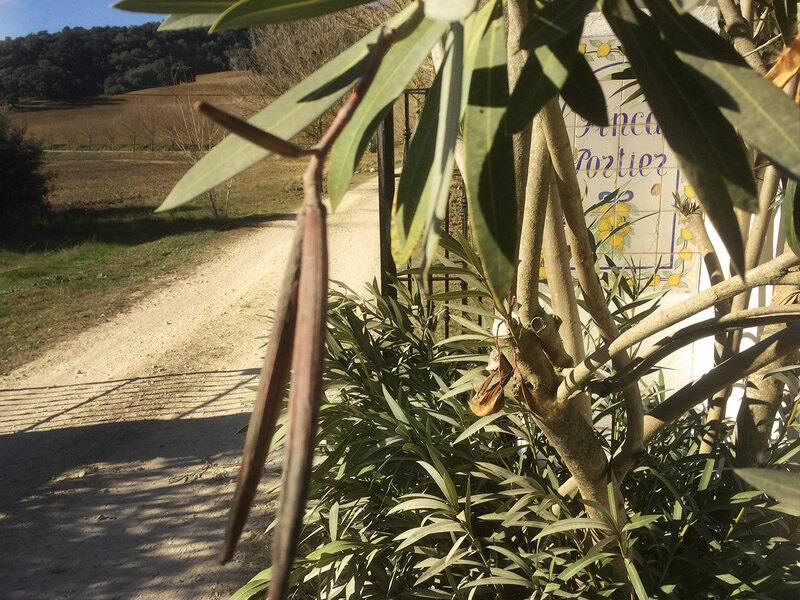 Finca Portier has been reborn as a producer of high-quality, organic oils. 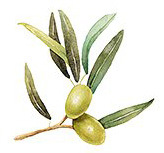 We revitalized our 1,700 olive trees and planted 850 almond trees and 750 walnut trees. We also planted a vineyard in an area with perfect conditions. 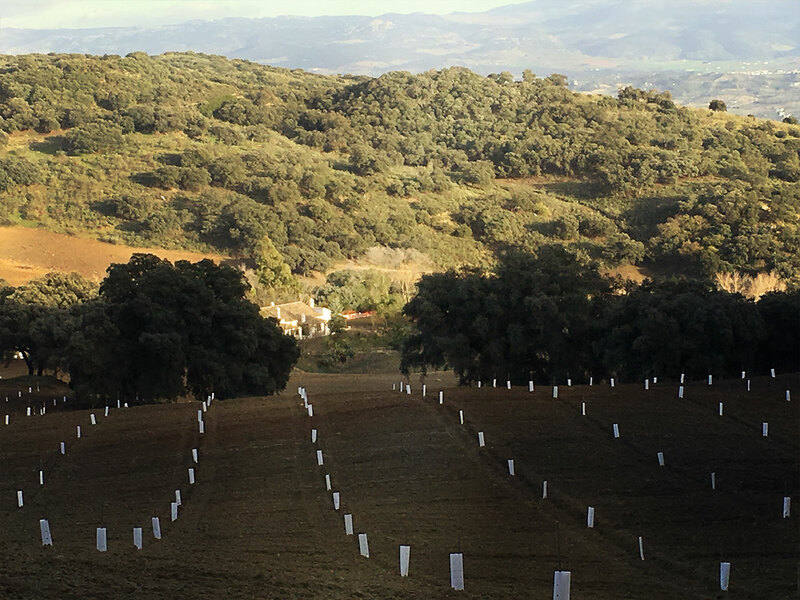 We planted classic grape varieties, guided by a professional oenologist from an acclaimed organic Bodega in Ronda. Finca Portier has about 90 acres suitable for farming. 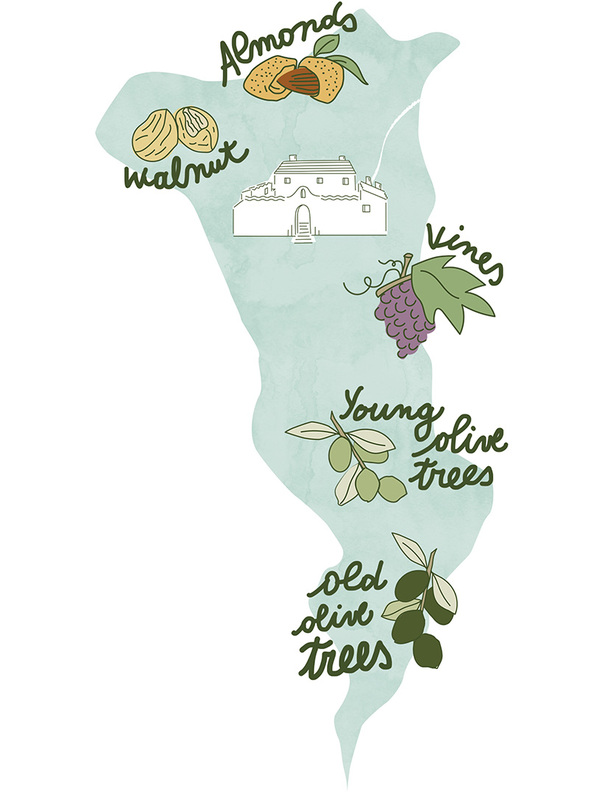 We have a 12-acre vineyard, 27 acres of olive trees and the rest is covered with almond and walnut trees. From the start, our mission has been to reclaim the estate’s agricultural legacy. Its renaissance is built on the modern principles of respect for nature, organic farming, natural fertilizing and self-sufficient watering. Since 5 October 2017, Finca Portier’s agricultural products have been certified organic according to European standards: regulations CE 834/2007 y CE 889/2008. Its certificate of conformity is N° 23135 (CAAE). And Finca Portier is now a registered brand in Europe. Everything is done by hand including the olive picking, tree trimming and brush clearing. 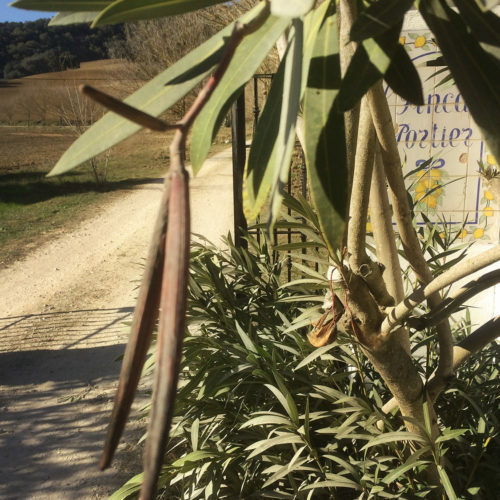 The olives are “first cold-pressed” in a certified organic mill. Registered lab analysis of the oils from Finca Portier show them to be Extra Virgin. 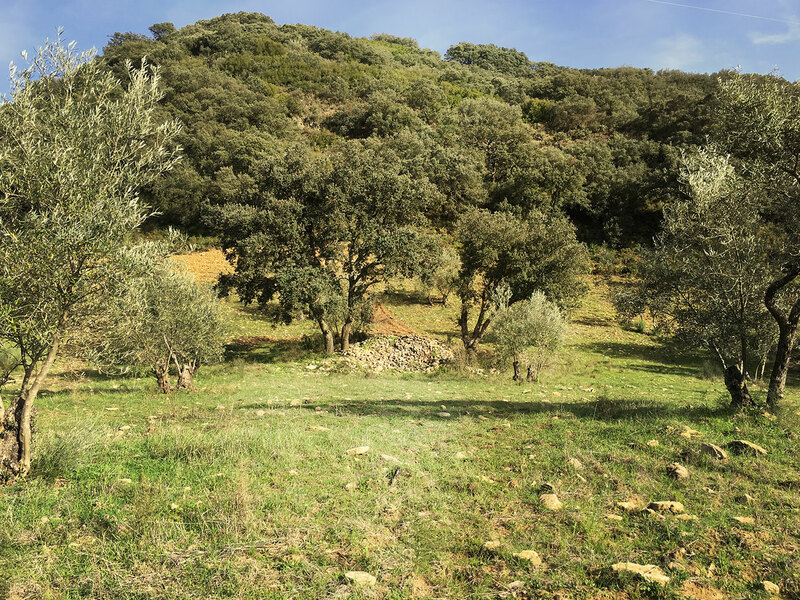 Right now the sheep that live on the estate are maintaining the woods and the field of old olive trees. They’ll soon be joined by black pigs that will maintain the woods of holm oaks that overlook the estate. 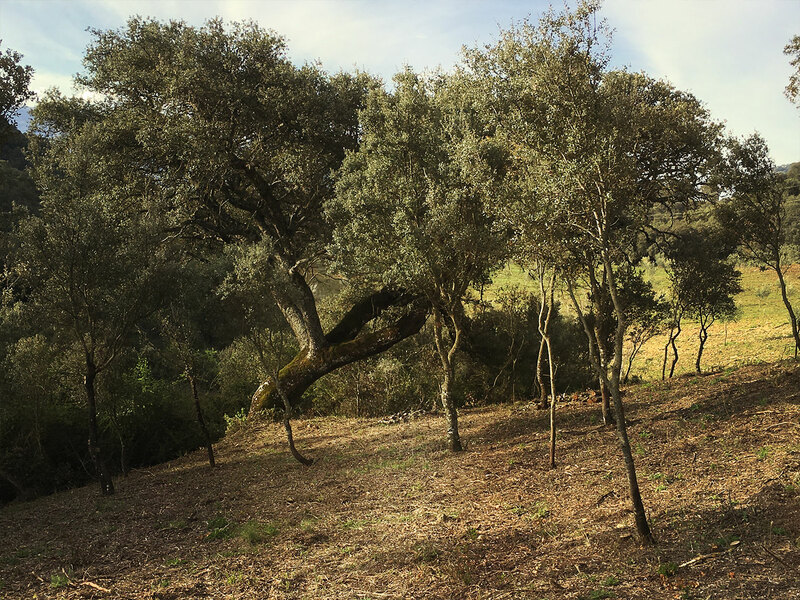 In 6 to 8 years Finca Portier will produce almonds and walnuts along with olives from trees that have reached full maturity. 5 years from now our first wines will emerge from our select grape varieties. 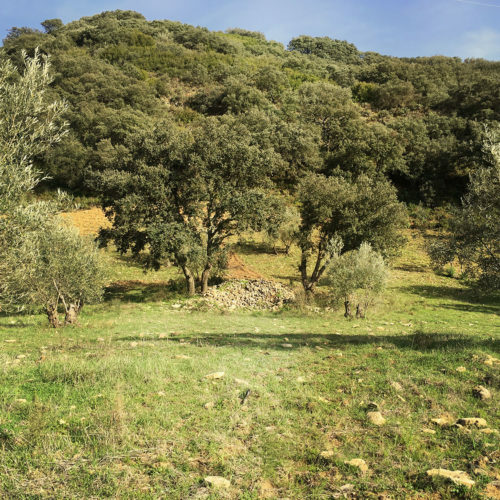 Our production will be limited and all of our oils will be made exclusively from olives, almonds and walnuts harvested at Finca Portier. We will only market oils produced at Finca Portier.